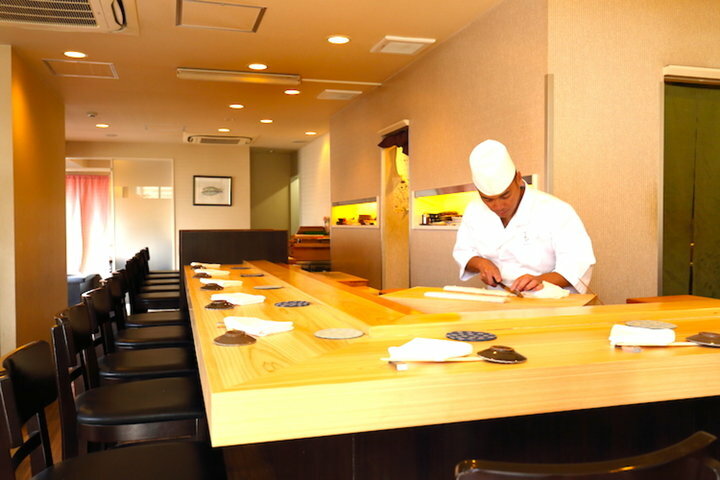 "Sushi Rinda" is 10-minute walk from Meguro Station, situated close to Meguro Fudoson Temple. The location, a short walk from the station, will excite the gourmand spirit in you that delights in going to enjoy sushi. Then, once you step inside the establishment, a lively, bright room spreads out before you. Standing at the counter is the owner, Mr. Yuuta Kouno. Mr. Kouno spent 10 years working at Matsue, a popular sushi restaurant in Ebisu, after which he spent 3 years in New York gaining experience, before returning to Japan and going independent. He opened "Sushi Rinda" at the current location in 2014. 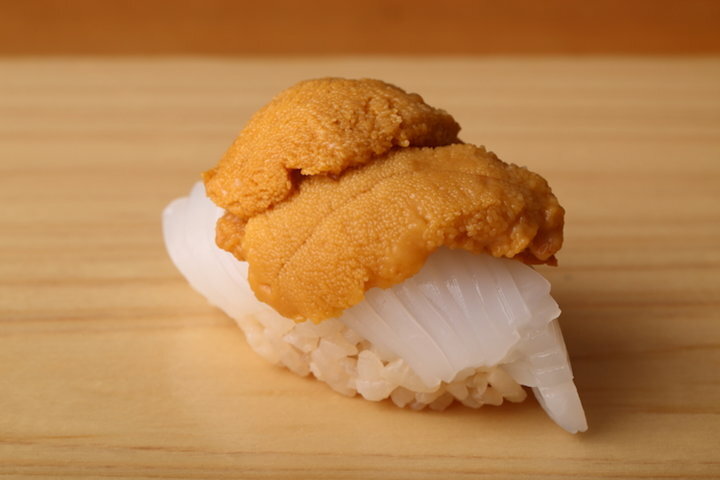 A defining characteristic of "Sushi Rinda" is the fluffy rice cooked in a "mushikamado". A "mushikamado" is a large, old-fashioned, ceramic rice cooker able to cook at high temperatures and for a short time. The vinegared sushi rice made from rice cooked in this way complements well the toppings on the sushi. 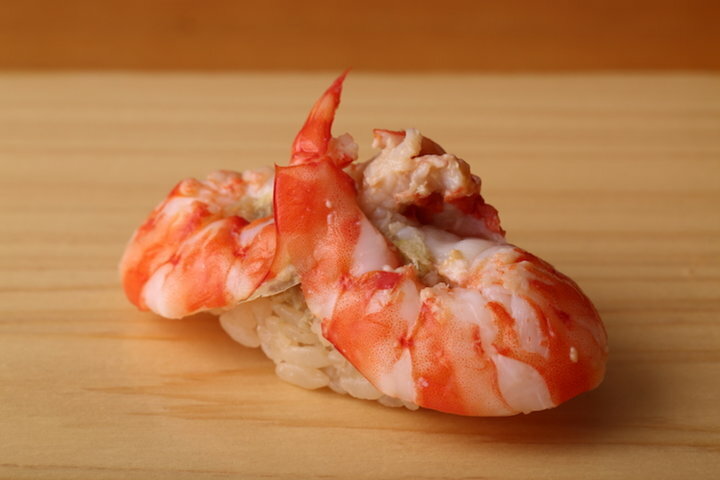 Fresh ingredients are used as-is wherever possible, and for seafood that must be prepared, the work is carried out carefully and thoroughly, as befits Mr. Kouno's sushi. The motto of him is to always see through to the moment where he brings the ultimate combination of sushi rice and toppings to his guests. 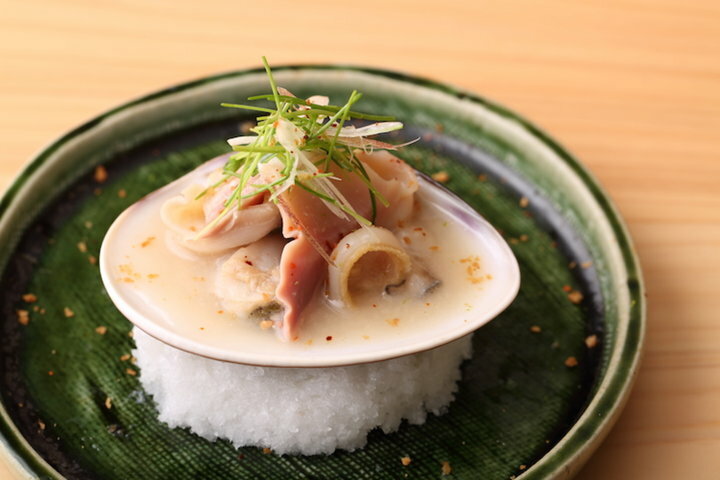 As for ingredients, whatever tastes good goes; whether it is Japanese or from overseas, ingredients range from those coming from around Japan and brought to Tsukiji Fish Market, to those delivered directly from trusted fishermen. Along with normally over 25 types of sake that pair well with sushi, there is a broad selection of wine and shochu available. 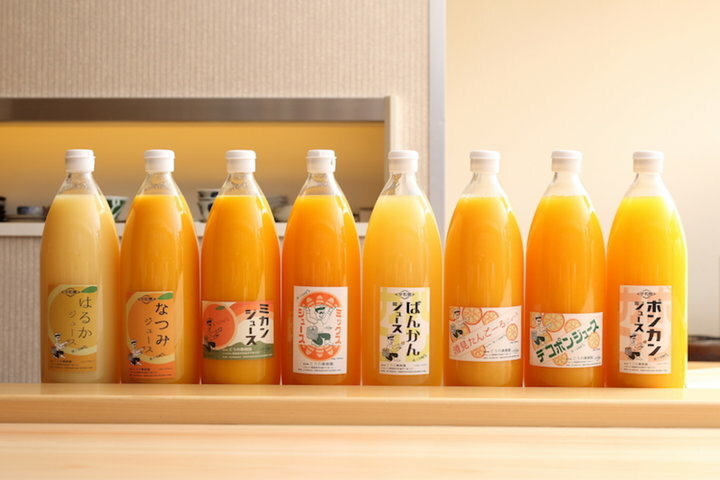 There are also eight types of mandarin orange juice, made from mandarin oranges picked from "Kouno Kajuen," an orchard run by Mr. Kouno's parents. The fact that these can be compared, and enjoyed as original non-alcoholic cocktails only add to the allure. Inside the restaurant, 17 counter seats are arranged in a U-shape, so you can enjoy a pleasant meal with friends, family, or any affable acquaintances. In addition to traditional styles of sushi, dishes can be made to prioritize guests' favorite seafood or even be arranged in novel ways. 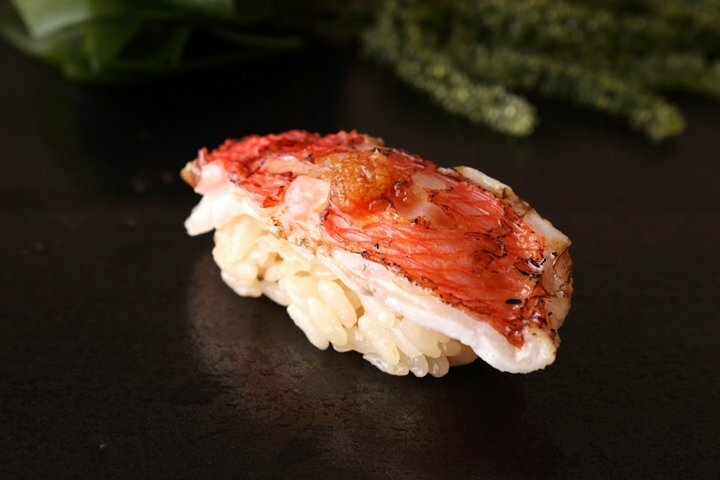 Mr. Kouno's sushi, which is playful even when orthodox, is not meant to be eaten quietly and humbly but should be enjoyed in a relaxed, carefree manner. *The name "Rinda" comes from Mr. Kouno's favorite song and is also the name of his eldest daughter. 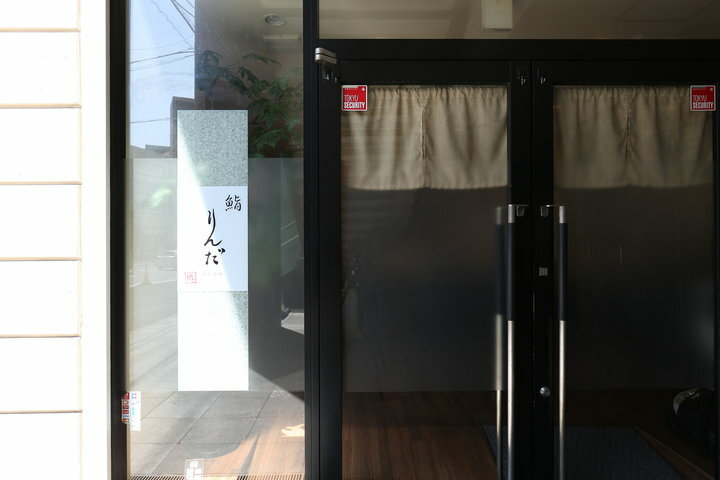 *In 2018, sister restaurant "Ranmaru" was opened. Here, you can enjoy both sushi and Uwajima udon. 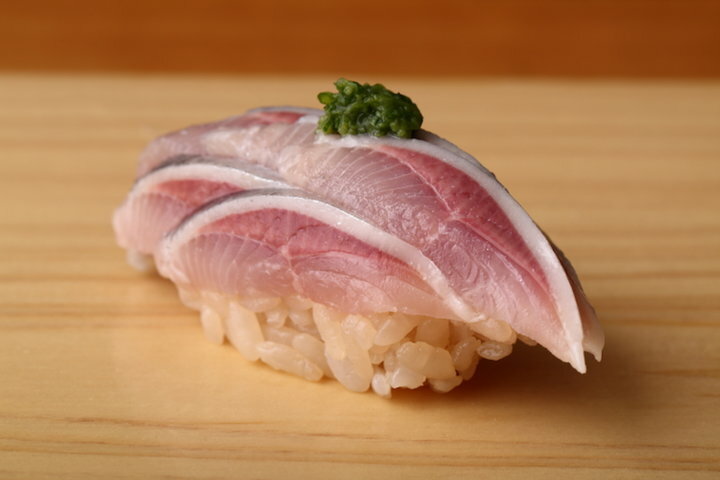 The same fish and sushi rice as "Sushi Rinda" is used. The name comes from that of his second daughter. Sunday, On the 1nd and 3th Monday.